Leinster 31 cantreds; 930 towns. Connacht 21 cantreds; 900 towns. Munster 70 cantreds; 2,100 towns. 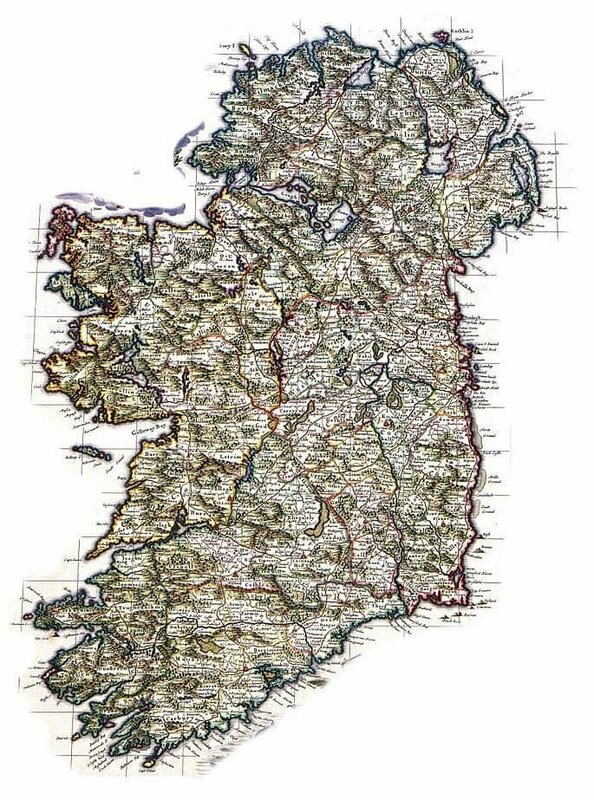 Ulster 35 cantreds; 1050 towns. Mide 18 cantreds; 515 towns. Every cantred contains 160 ploughlands. Every town contains 8 ploughlands of arable land, beside the pasture of 300 cows. Ploughlands measured only by arable land (excluded are meadow pasture, woods, bogs, mountains or wastelands). The number of ploughlands 53,080. Every ploughland contains 120 acres. Every cantred contains 30 villages. With many thanks to: Tomas MacCormaic for the original posting.